Answer: Clamshell packaging has hinges that allow them to open like a clamshell. A clamshell package usually includes a hanger tab so it can be displayed on a store peg. Some clamshells have multiple hinges which gives them a flat base and allows them to be stood upright on a shelf. Retail products can be displayed for maximum visibility in clamshell packaging. High clarity and visibility allows consumers to see the product in great detail. Clamshells can also be formed to take on any shape and hold virtually any type of product. Clamshell packaging may not be perfect for every product, but its advantages make it a great choice for a variety of products from food and smart-phones to medical supplies and electronics. Question: What is a blister package? Answer: Blister packaging is commonly used in the medical and pharmaceutical industries and many others. This type of packaging is excellent at sealing and keeping sterile pills and other pharmaceutical safe. Blister packaging is also commonly used in retail packaging but usually small consumer goods, food, and electronics, etc… The main difference between a blister and a clamshell is that a blister doesn’t have a hinge. Blisters are usually attached to a paperboard card (header card) where the “blister” holds the product in place. 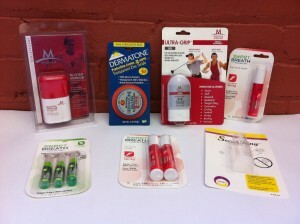 Blisters are also great for showcasing products because their clarity leads to great visibility for the product. Answer: Blister packaging and clamshell packaging are made from a process called thermoforming. Thermoforming is the process of heating rigid plastic into a softened state, then cooling it back into a rigid state, around a mold, with the use of vacuum. This allows blister or clamshell packaging to be formed in to virtually any shape. Question: Why should a manufacturer consider using a blister package or a clamshell package? Answer: A blister or clamshell should be considered whenever there is a need to protect, contain, transport or merchandise an item. Question: What is the best use of a clamshell package? A clamshell has two sections, typically formed with a hinge on the centerline, which can fold over and attach to itself, creating an enclosed container. Clamshells are commonly used for food, smart-phones, electronics and much more. 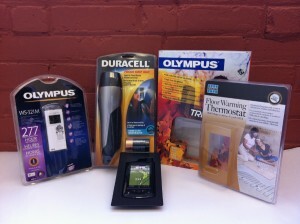 Clamshell packaging is usually associated with higher value items. For example, high end golf balls may come in a clamshell package while an inexpensive household 9V battery would typically be packaged in a blister package. Question: What is the best use of a blister package? Answer: A blister is a single, vacuum-formed shell that can contain and merchandise a consumer product, after it’s sealed to a header card. Blisters are commonly used on consumer product packages that have a relatively low value. A tape measure is frequently packaged in a blister package while an expensive automotive part may be packaged in a clamshell package. Question: Are there any size limitations to clamshell or blister packaging? Answer: Clamshell or blister packaging can have little restrictions on size. Limitiation on size will be determined by machinery and tooling. Most consumer and industrial products can be accommodated, particularily, if they are of the size and weight that can be hung from a display peg. Question: What is a normal starting quantity for clamshell packaging or blister packaging? Answer: 5000 units is usually considered a satisfactory quantity justify the expense of tooling and design; however, a high value product be justified at just 1000 or fewer units. Question: What kind of plastic is used in clamshell packaging or blister packaging? durable, low-cost plastic that’s easy to form and print on. Modified PET with Glycol, PETG offers better sealing properties and durability than regular PET. A plastic that’s less resistant to static charge build up, great for the Electronics Industry. A specially developed plastic material that conducts modest amounts of current. A corn-based plastic that sometimes used as an alternative to petroleum-based plastics. Question: How long does it takes to make clamshell packaging or blister packaging? Answer: Thermoforming cycle times of vary, depending on the thickness of the plastic, the size of the mold, and the type of machine it’s running on. A machine can make thousands to tens of thousands of clamshell or blister packages on a single machine. Question: What are the steps to create blister packaging & clamshell packaging? The first step is to come up with a basic design of what the package should like and create a drawing or sketch depending on complexity. The third step is to prototype all the components in the package and get approval of samples. final stage is to order materials, tools and fixtures and produce the package. Lead-times vary, depending on what’s involved, but can take anywhere from 3 to 6 weeks or more. Go ahead and bookmark our Frequently Asked Question page to get your packaging questions answered at your convenience. Feel free to call us at 888-768-8403 or email info@southpack.com If you would like to discuss any packaging issues or challenges you have. We thank for being part of our packaging community.